We've been doing great with our Solid Flywheel Conversion Kits for the 2005 to 2007 Dodge Ram 2500 & 3500 pickups with a 5.9L Cummins Diesel and a Mercedes G56 transmission. It also fits the 2007 Dodge Ram with the 6.7L Cummins Diesel with the Mercedes G56 trans. The original Dual Mass Flywheels have been failing and our kits are solving the problems. The Dual Mass Flywheels are designed to minimize vibration so it drives more like a car, but also limits the amount of torque that transfers to the transmission, in turn limiting the towing/payload capacity. 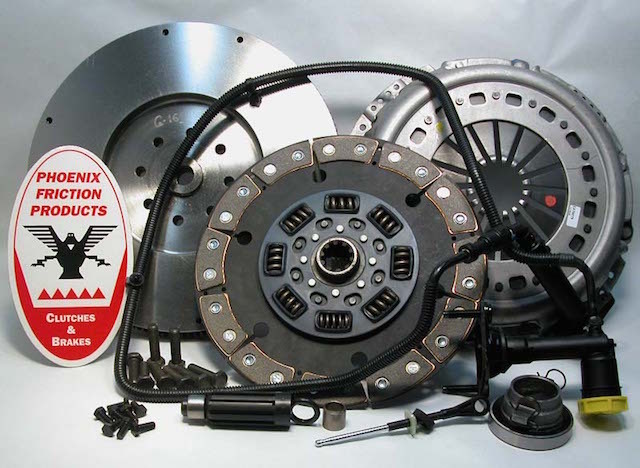 To bypass this limitation, Valeo (the same OEM that supplies Dodge with the DMF Clutch setup) has engineered an OE Solid Flywheel Conversion Kit. This conversion kit comes complete with everything you need to change to a solid mass flywheel, including the flywheel bolts and prefilled hydraulics. This kit offers a very smooth engagement. The torque capacity is 620 lb-ft. (good for payloads/towing capacity up to 15K lbs). Available at $699.99. 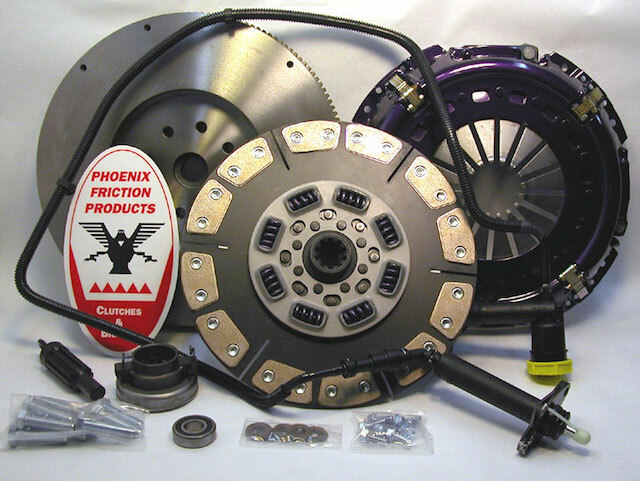 Our Stage 5 Clutch Kit option uses a high torque Phoenix Friction Cerametallic Clutch Disc and a specially designed pressure plate that uses a unique weighting system that increases clamp load by centrifugal forces. The clamp load of the pressure plate increases relative to the spin rate of the flywheel. This offers a significant increase in clamp load over the amount of clamp load of the springs alone, and offers a significant increase in torque capacity. 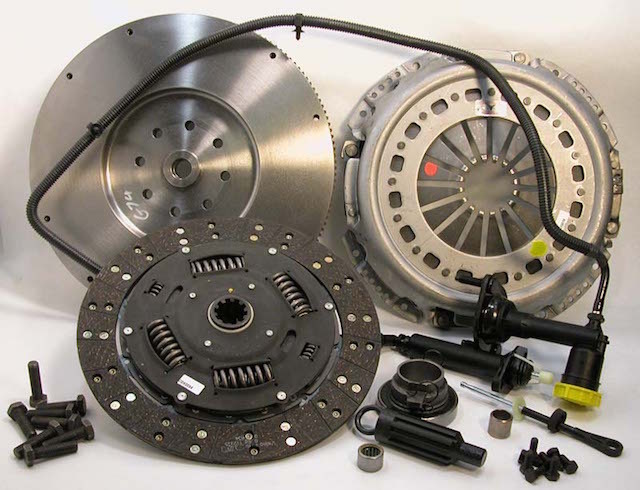 This kit is capable of 1500 lb-ft. of torque without the expense of employing a dual disc clutch system. This kit is for those that have a highly modified engine and therfore have very high torque requirements. Available at $999.99. We also have Kevlar button versions of these kits available for trucks used in towing applications. These Kevlar button kits give you very smooth engagement characteristics, higher torque capacities, and very long life. Call for more information. Toll free 877-570-5630. Visit us at http://www.phoenixfriction.com/.